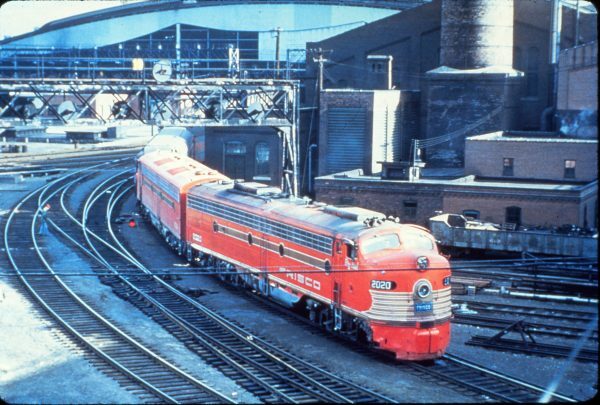 This entry was posted in CA Collection and tagged 2020, Big Red, E8A, Electro-Motive Division, Passenger Service. Bookmark the permalink. Nice photo. Note the blue coonskin on the nose of Big Red. That means this pic was from early in the “Racehorse” (or “Red Bird”) life of SLSF 2020.